Sue has 18 years experience as a Speech-Language Pathologist. Originally from New England, she received her Bachelor of Arts degree in Communication Disorders with a Minor in Spanish from Pennsylvania State University. She received her Master of Arts degree in Speech-Language Pathology from Indiana University. Sue has completed post-graduate training in Orofacial Myofunctional Disorders through the Academy of Orofacial Myofunctional Therapy under the direction of Joy L Moeller, B.S., R.D.H. and from the International Association of Orofacial Myology under the direction of Kristie Gatto, M.A., CCC-SLP, COM™. Sue is consistently taking Continuing Education classes in order to better serve her patient and their families. Sue has worked in a variety of settings including public schools in Chicago, IL and The Woodlands, TX; La Rabida Children’s Hospital in Chicago, IL; Children’s Mercy Hospital in Kansas City, MO; an outpatient rehabilitation setting in New Hampshire; and private practice in The Woodlands, TX. Sue founded OroFacialTx in 2014. She enjoys working with a variety of ages from infancy to adulthood. Sue has 5 children at home, a supportive husband, and a beloved dog. She knows first hand the balance of working as a family to help those she cares for achieve progress and success towards their goals. Andrea has 18 years experience in the field Speech-Language Pathology. Born and raised in Houston, TX, she received her Bachelor of Science degree in Communication Disorders from Stephen F. Austin State University. She received her Master of Science degree in Speech-Language Pathology from Texas Woman’s University. Andrea has completed post-graduate training in Orofacial Myofunctional Disorders through the Academy of Orofacial Myofunctional Therapy under the direction of Joy L. Moeller, B.S., R.D.H. She plans to obtain certification from the Academy of Oral Myofunctional Therapy when it becomes available in late 2018. She consistently participates in Continuing Education courses and seeks the latest research in order to provide the best care and therapy available. 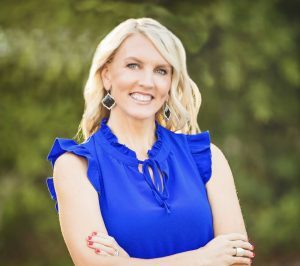 Andrea has worked in settings such as public school in Conroe ISD, Home health therapy and private practice in Conroe, TX. She has experience evaluating and treating clients with a wide range of disorders and therapy needs from infancy to adulthood. Andrea shares her home with her 2 sons and the family’s fun loving beagle named Sophie. 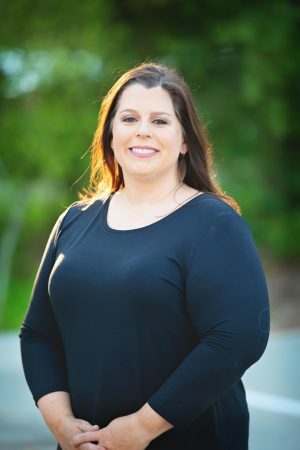 She is excited to help patients and their families achieve their personal goals with Orofacial Myofunctional Therapy and Speech Language Pathology services.